NANOSKIN® FORMULA 67 Professional Quick Detailer removes swirls, water spots, stains and light oxidation while restoring gloss and adding a durable layer of wax protection. 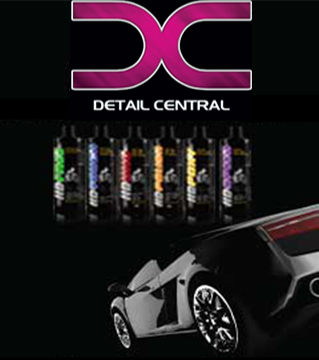 FORMULA 67 can be applied by hand, with a dual action polisher or a rotary polisher. Application couldn’t be easier than with NANOSKIN® MICROBUFF™ Polishing Pad and a dual action polisher. Whether you’re a novice or a pro, you’ll get expert results. If the paint is severely neglected, use NANOSKIN® NANO CUT Finishing Compound with MICROBUFF™ Cutting Pad prior to using FORMULA 67. The heavy and quick cutting of some polishers can cause the surface to become very hot and cause the oils in the polishes/compounds to prematurely flash off. One fine mist of NANOSKIN PAD REJUVENATOR to the center of the used pad is enough lubrication to reactivate the polishes/compounds left on the pad and get it back to a serviceable condition. More compound IS NOT the answer. After spraying PAD REJUVENATOR on the pad, you will find you will be able to finish a section without any additional compounds. There was a commercial many years ago saying, “A little dab will do you” and that’s the way this system works.